A recent survey investigating the reasons why people use cannabis found that relaxation, and anxiety and stress relief to be most widely cited. New research from New Frontier Data sheds some insight on why people use cannabis. According to the New Frontier Data 2017 Cannabis Perceptions Survey, most users – 55 percent – claim to use cannabis specifically for relaxation purposes. The second biggest group of respondents – 40 percent – said that they use cannabis to relieve stress or to enjoy social experiences. Thirty-nine percent of all respondents responded that they use cannabis to reduce anxiety. Anxiety and stress disorders affect approximately 40 million American adults between the ages of 18 to 54 (18.1 percent), according to the National Institute of Mental Health. Research does indicate that cannabis, particularly the non-psychoactive cannabinoid cannabidiol (CBD), possesses anxiolytic-like effects. 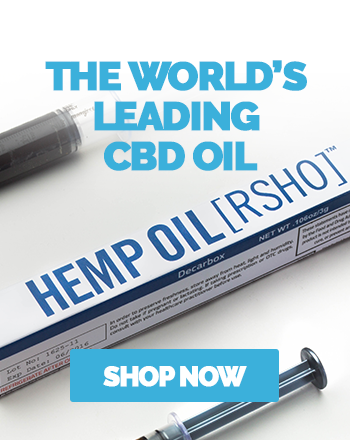 A 2011 study found that CBD effectively reduced anxiety and social phobia discomfort. Another showed CBD to be beneficial at reducing subjective anxiety in those diagnosed with social anxiety disorder. The next four most common reasons cited by the New Frontier survey are to improve sleep quality (29 percent), manage pain (26 percent), stimulate creativity (16 percent), and to treat a medical condition (15 percent). Other less common reasons for using cannabis, according to the survey, include increasing focus and attention (9 percent), enhancing medication or religious experiences (7 percent), and improving exercise of training performance (5 percent). The research found that gender played a significant role in some of the reasons for using cannabis. Women were significantly more likely than men consume cannabis to reduce anxiety (+13 percent), improve sleep (+10 percent), relieve stress (+7 percent), manage pain (+8 percent), and suppress nausea (+8 percent). The findings suggest that women are more likely to be using cannabis for popular medicinal benefits. Laws allowing marijuana for medical purposes have been passed in 29 states and Washington D.C., and eight states plus Washington D.C. have legalized recreational marijuana. Public attitudes regarding cannabis use have shifted significantly toward acceptance over the past decade. Polls indicate that more Americans now support the legalization of marijuana than ever, and some market analysts believe nationwide legalization could be just a few years away. New Frontier Data’s 2017 Cannabis Perceptions Survey was conducted in partnership with cannabis technology company MassRoots in an effort to better understand cannabis consumers. They have already released data from the survey indicating that age demographics play a major role in support for cannabis legalization. “Over the past three years, we’ve built a community of over a million of the world’s most passionate cannabis consumers. In conjunction with New Frontier Data, we’re releasing the first cannabis consumer sentiment report, which will analyze the hundreds of millions of anonymized data points surrounding cannabis purchasing decisions,” said MassRoots Chief Executive Officer Isaac Dietrich, in a statement. You can learn more about what research has found about cannabis’ effects on conditions like anxiety, pain, and sleep by visiting our education page. Keep up with the growing legal cannabis industry through our news feed.